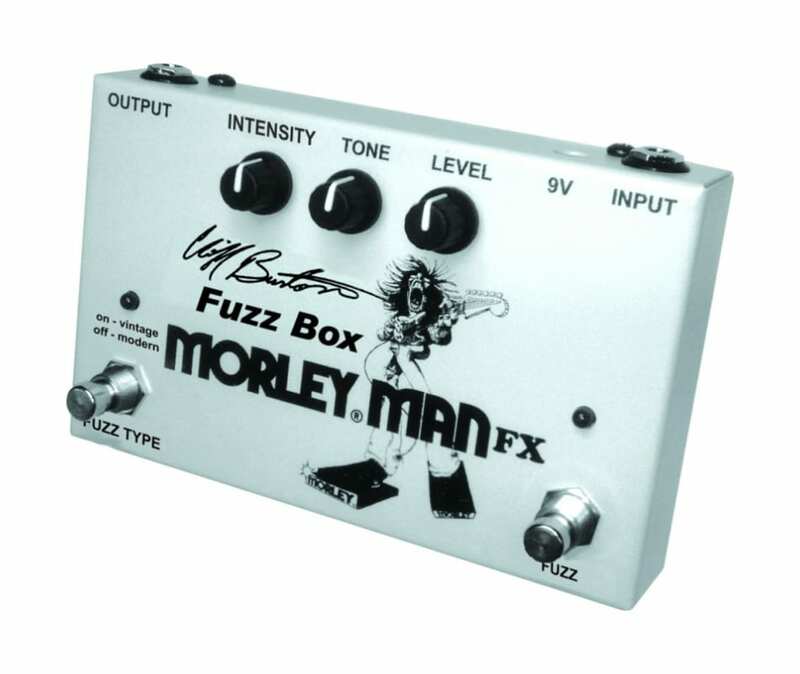 Morley's MCF Cliff Burton Fuzz Box is the fuzz circuit from Power Fuzz Wah in stand alone stomp box. This fuzz has intensity, tone and level controls! Complete with separate foot switches to select between modern or vintage fuzz types. True tone buffer ensures signal integrity and tone which helps drive longer cables runs. This box is in cold rolled steel housing, has a quick clip battery door and powered from 9v batter or adapter. No tools needed with the Quick Clip battery door.